What? Seriously? A basic cooking utensil set? 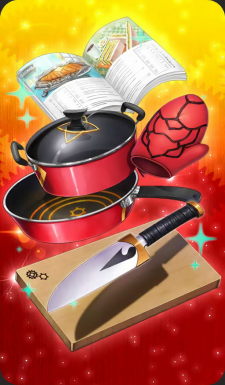 A yin and yang knife, mittens, cutting board, frying pan, pot, apron, and a basic cookbook.